Moor Tower or Tower Moor, near Horn Castle and North West prospect of Berlings, near Lincoln. An antique line engraving by W. Watkins after G.B. Topham. Published by John Saunders in 1834. Later coloured by hand. Inside view Thornton College Gate House. 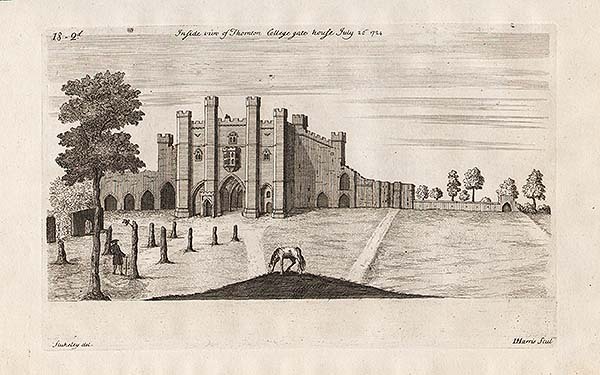 An antique line engraving by I. Harris after Stukeley of 'Inside view Thornton College Gate House' which appeared in William Stukeley's 'Itinerarium curiosum' (London: 1724). The Dock Works at Great Grimsby. 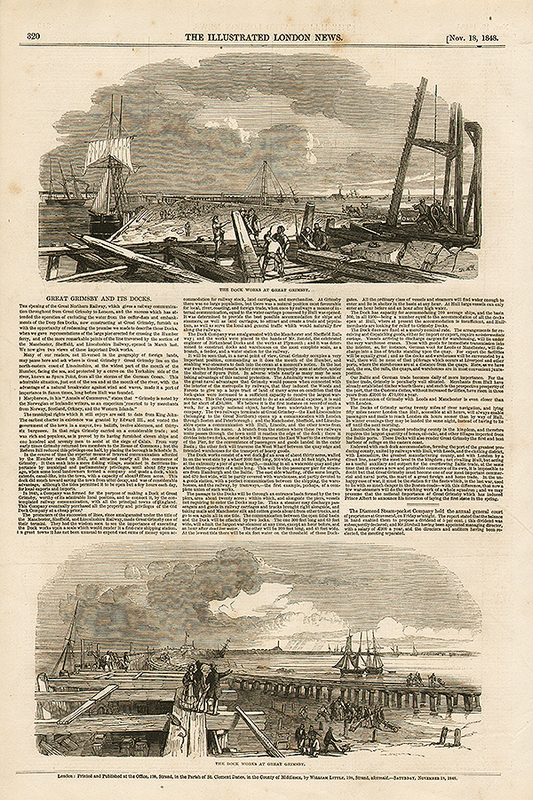 A full page from "The Illustrated London News" which was published on Saturday, November 18th, 1848 showing two woodcut engravings and a report on Great Grimsby and its docks. An antique linel engraving by J. Greig after Miss Lowry. Published in 1810. Later coloured by hand. An antique line engraving by T. Clark after T. Allom. 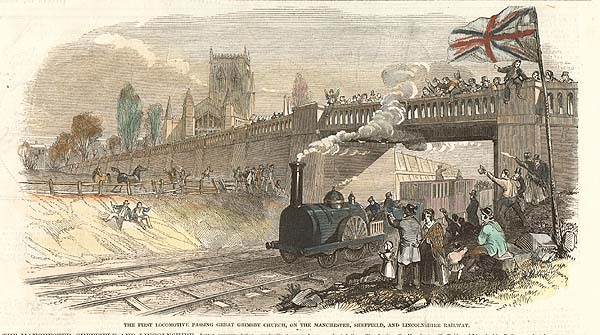 Published in 1836 with later hand colouring. Wolsthorpe. he house in which Sir. Isaac Newton was born. An antique line engraving by W. Watkins after J.N. Rhodes. Published in London in1832. Later coloured by hand. An antique line engraving by W. Watkins after O.N. Simpson. Published by John Saunders Jnr. in 1834. Later coloured by hand. An antique line engraving by W. Watkins. Published by John Saunders in 1833. Later coloured by hand. An antique line engraving by J. Rogers after J. Salmon. Published by John Saunders in 1834. Later coloured by hand. An antique line engraving by W. Watkins after B.G. Topham. Published by John Saunders in 1834. Later coloured by hand. An antique line engraving by W. Watkins after J.N. Rhodes. Circa 1830. Later coloured by hand. An antique line engraving by J. Rogers after J. Salmon and T. Allen. Published by John Saunders in 1830. Later coloured by hand. An antique line engraving by J. Rogers after J. Salmon. Published by John Saunders in June, 1831. Later coloured by hand. An antique line engraving by J. Rogers after W. Bartlett. Published June, 1833. Later coloured by hand. The Village of Aslackby, with the remains of the Preceptory of the Knights Templar. An antique line engraving by W. Watkins after J.B. Topham. Published by J. Saunders, June 1st, 1833. Later coloured by hand. Boston. As seen in a Bird's Eye view from the South side of the top of the tower of Boston Church. An antique line engraving by W. Watkins after B.G. Topham. Published by John Saunders in 1833. Later coloured by hand. An antique line engraving by W. Watkins after B.G. Topham. Published by John Saunders in 1834. Later coloured by hnad. An antique line engraving by W. Watkins after J. Rhodes. Published by John Saunders in 1832. Later coloured by hand. More Info An antique copper engraving by Daniell King, which was published in "Monasticon Anglicanum, or the History of the Ancient Monasteries, Hospitals, Cathedral and Collegiate Churches by Sir William Dugdale" in 1717. Daniel King was one of the earliest English togographic engravers/etchers and was taught by the well known Wenceslaus Hollar (1607-1677). The Birth Place of Sir Isaac Newton, Wolsthorpe, Lincolnshire. An antique line engraving. Circa 1840. Later coloured by hand. An antique line engraving by White after Shirt. Published in 1812. Later coloured by hand. The Iodine Spa, Woodall near Horncastle. 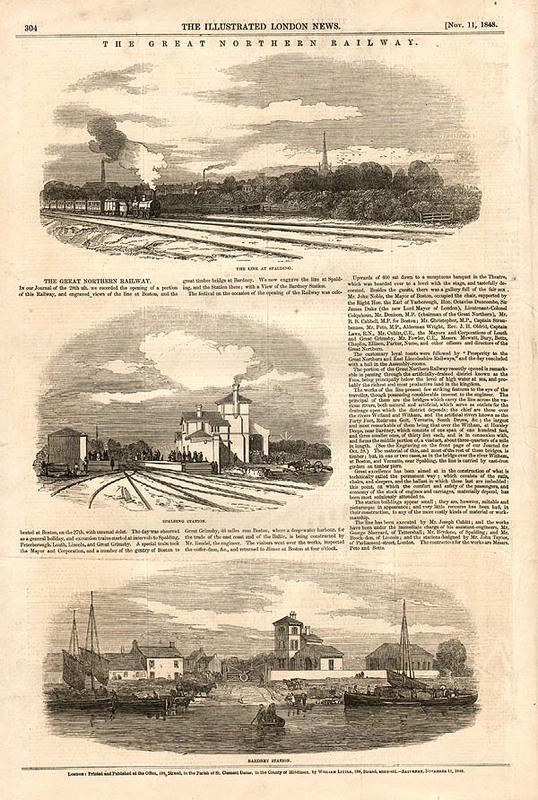 An antique line engraving by Rock & Co. Circa 1860. Later coloured by hand. An antique etching by S. Rawle, engraved by B. Howlett after J.C. Nattes. Published in 1804. The colouring is later. 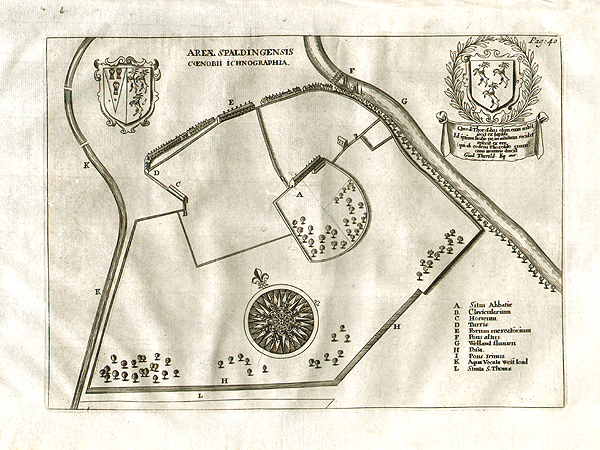 Centrefold as printed. North view of Temple Bruer. An antique line engraving by J.F. Dauthemare after J. C. Nattes. Published in 1803. 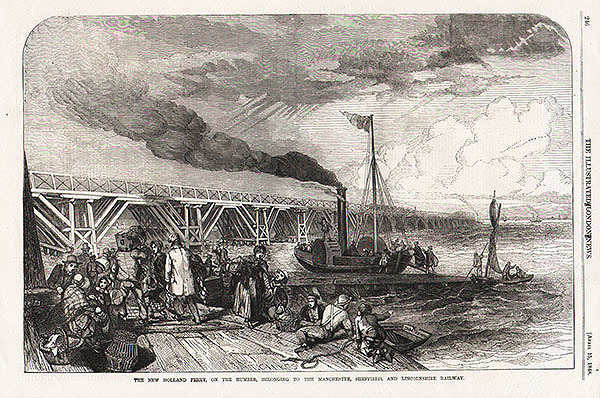 An antique woodcut engraving entitled "The Duke and Duchess of Connaught opening the People's Park at Great Grimsby" published in "The Illustrated London News" on August, 25th, 1883.